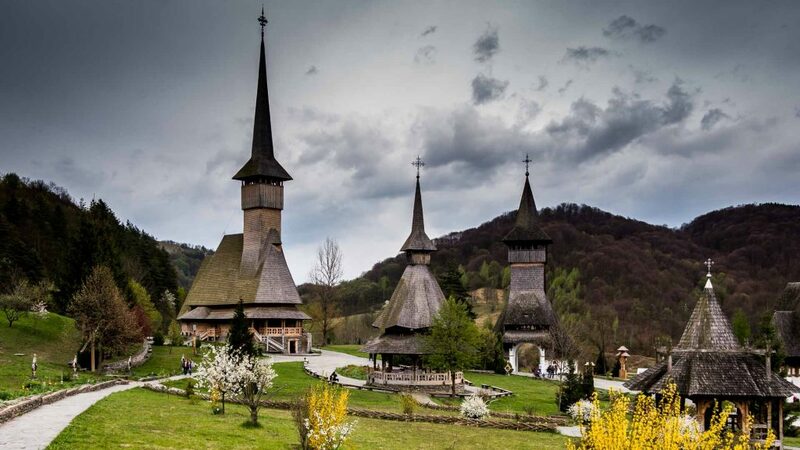 Explore the best of Maramures and Bucovina during this 7-day tour. 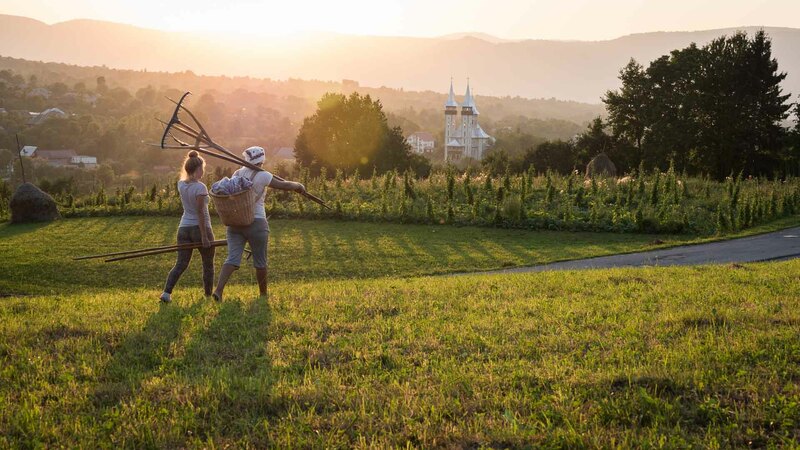 See the only “Merry Cemetery” in the world, admire Europe’s highest wooden church, ride a narrow-gauge steam train, learn about the wood-carving culture and about the craft of painting eggs. 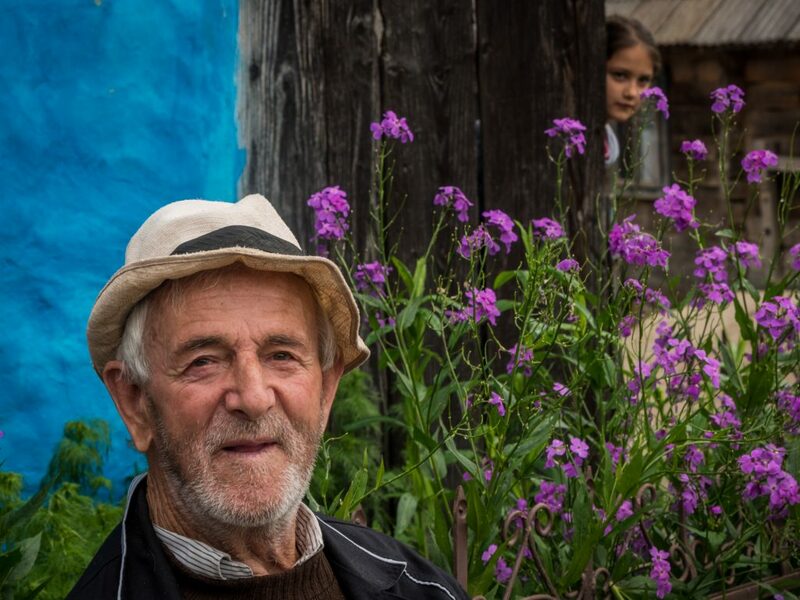 Amidst visits and explorations, enjoy the hospitality of the people and get drawn for a few days in the quaint way of life specific to Romanian villages. This is a private and guided tour. It will be organized for you only, so you will not be part of a larger group. 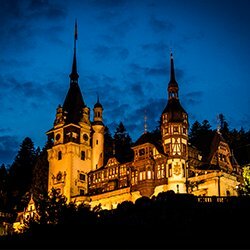 You will start your Maramures and Bucovina Tour from Cluj-Napoca, an important city situated in the heart of the country and very well-connected to the rest of Europe. 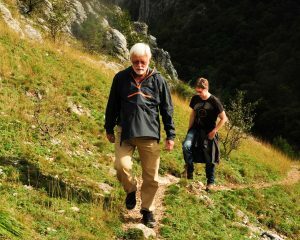 You will then transfer to Baia-Mare from where you will explore the beautiful region of Maramures in the next few days. In the morning you will visit the open air market in Baia Mare, where you will have the opportunity to observe the daily life of the people. Next on your itinerary is the Memorial Museum of the Victims of Communism. 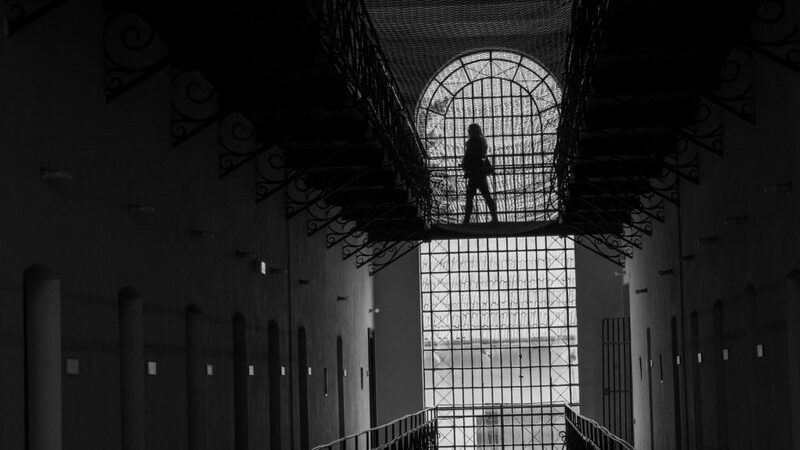 Also known as the Museum of Arrested Thought, it is a former prison where many of Romania’s important figures were held captive and tortured during the communism period. You will learn about the history of the regimen, see photos of how prisoners used to live and visit the cells and torture chambers. In the second part of the day you will travel to Sapanta to see one of Romania’s most interesting attractions – the Merry Cemetery. 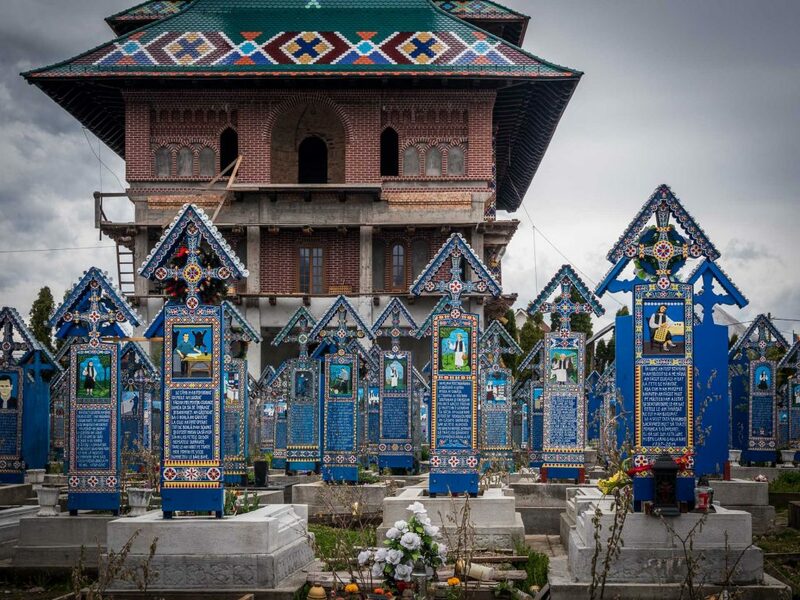 Each cross in the cemetery is painted in blue and decorated with traditional motifs. 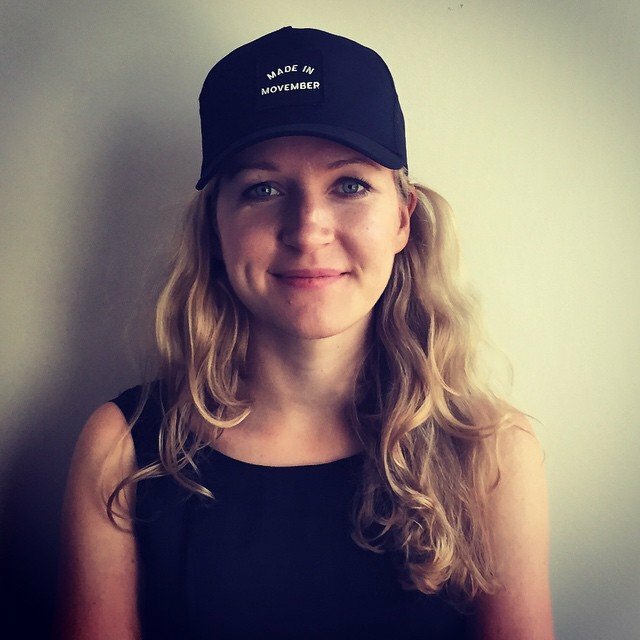 It also features a picture, meant to illustrate a personality trait or a significant scene from the life of the person who died and a short, witty poem. Also in Sapanta you can visit the Sapanta-Peri Monastery, the tallest wooden structure in Europe. This day will be dedicated to exploring the countryside and the well-kept traditions of the region. 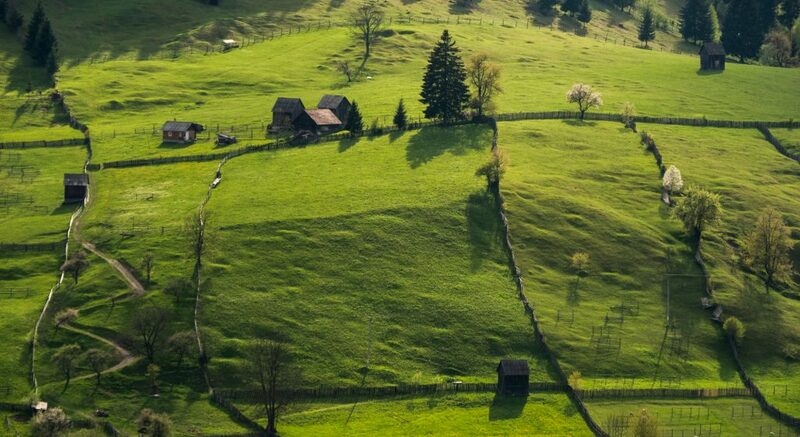 You will hopefully get to realize why Maramures is called the “last truly rural place of Europe”! Start the day with a horse cart ride in Breb, an emblematic village for all things that represent Maramures. The interesting experience will be followed by a visit to one of the wooden churches for which the region is so famous, Budesti. It is part of the UNESCO World Heritage Sites and it has a remarkable collection of wood and glass icons. 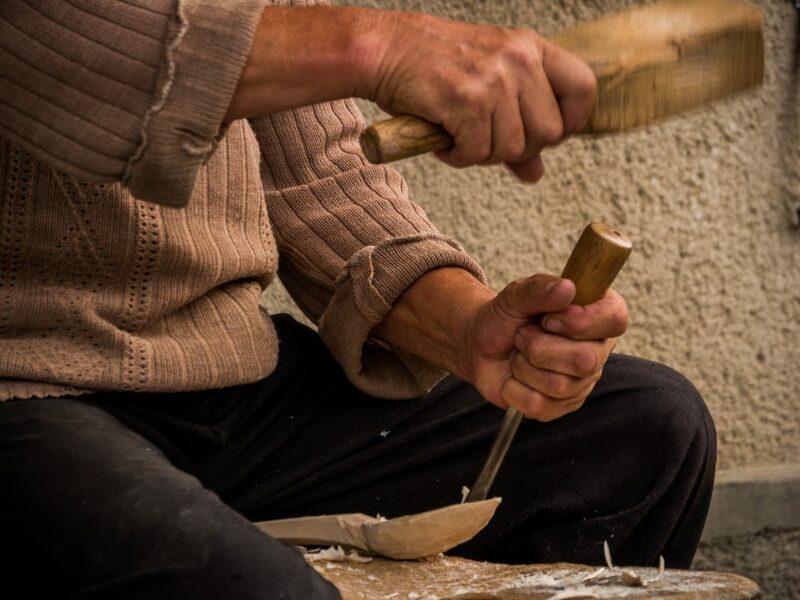 You will continue your trip with a stop at the water powered installations in Sarbi, after which you will take part in a wood carving workshop. Later that day you will visit two more UNESCO Wooden Churches: Barsana Monastery, considered by many the most beautiful one due to its impressive interior paintings and Ieud Wooden Church. Lastly, you will stop for a short while at the Ples Ethnographic Museum in Ieud. Accommodation in Viseu de Sus. 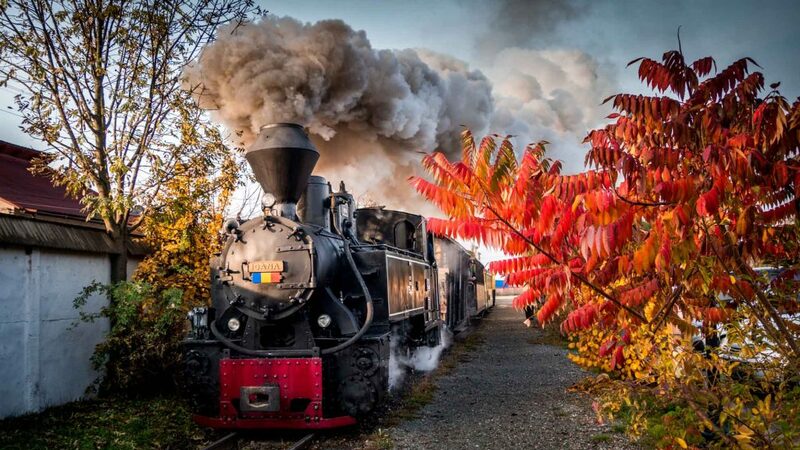 Today you will take part in a unique experience as you will get to ride Mocanita, the only fully functional narrow-gauge steam train in Europe. The ride lasts for 6-7 hours and takes you through the beautiful Vaser Valley, an area with green forests, steep cliffs and clean waters. You will then get ready for your second part of the Maramures and Bucovina Tour and head towards the North-Eastern region of the country. 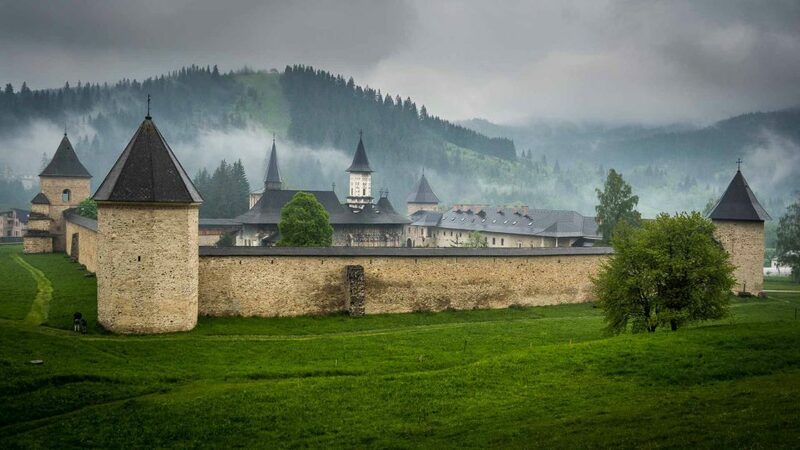 It’s time to explore Bucovina, the region famous for its painted monasteries and decorated Easter Eggs. First you will visit the Egg Museum in Vama, which displays a collection of thousands of eggs, all of them unique in their design. You will have the opportunity to admire them and also learn about the long-kept tradition of manually painting eggs for Easter. Afterwards, you will explore some of Bucovina’s UNESCO Monasteries. Moldovita Monastery stands out through its colorful external frescoes, Sucevita Monastery is known for having the largest number of paintings and the best preserved ones and Voronet is the one you can’t miss due to it being painted in a particular shade of blue, known worldwide as “Voronet blue” and whose composition remains a mystery even today. You will leave behind the region of Bucovina and travel to Cluj-Napoca, a fascinating city for those who are interested in Romania’s history, art and architecture. 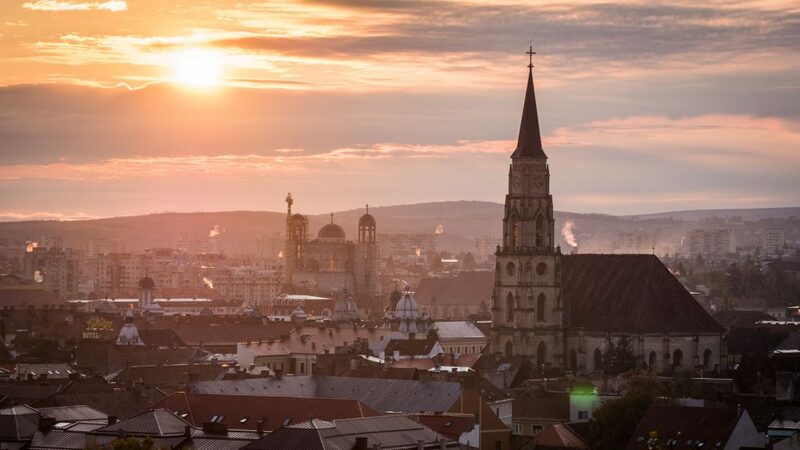 In the afternoon you will have a guided city tour, during which you can explore the beautiful Unirii Square, visit King Matthias Corvinus’ birth house and admire an impressive Gothic church. Lastly, you will climb to the Cetatuia Hill to see the remains of the old fortification walls and from where you will also have a panoramic view of Cluj-Napoca. Today marks the end of your Maramures and Bucovina Tour. You will be transferred to the airport, from where you will take the flight back home.